mmmmm! 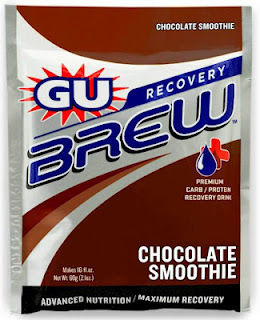 GU Chocolate Smoothie Recovery Brew is delish!! Enter to win some GU Brew, Gels, Chomps, and Brew tabs. Check it out here at BABs Reviews. 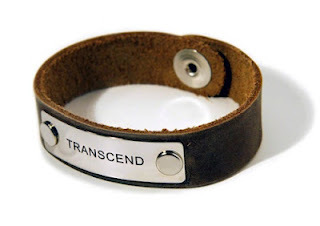 Also, tomorrow is the last day to enter the Endorphin Warrior Training Bracelet Giveway here. There are not many entries so far so the odds are in your favor. "May the odds always be in your favor". Tell me where that quote came from in a comment on one or both of the giveaways and get an extra entry. I ironically only liked about half of each of those books but I liked that quote and it sticks in my head!! Angie, I love the bracelet! I'm not sure about the quote. It's very similar to the line said by Effie Trinket in the Hunger Games, but it's not exactly the same. She said, "may the odds be ever in your favour." I like her quote. I'm a BIG fan of The Hunger Games. I was wondering if anyone would correct me from always to ever!! !